Is it okay to feel relieved when someone close to you dies? In my last post leading into the new year – 2014 – Another year coming to an end – I mentioned my Grandfather’s deteriorating health. I’m sad to say he passed away the next day. New Years day. My mother phoned me in the afternoon saying he had taken a turn for the worst. We thought he’d have a couple of days left so my family were planning a visit to see him and I was doing the same. Around an hour later though, Mum phoned me again saying he had died. We knew he would die eventually but it was much quicker than any of us expected. His health went downhill exceedingly quick. So this is where my blog title comes into account – is it okay to feel relieved when someone close to you dies? I guess it depends on the circumstances. Most people would only really feel relieved if that person was suffering. Some people feel guilty for feeling relieved. My Mum is one of them. She said to me just yesterday that she’s relieved he’s dead because it’s ended his suffering but she feels guilty. I told her it was perfectly normal to feel that way after what he’s been through. If I’m honest I’m relieved too. Don’t get me wrong, I cried when he died. I love my Grandad but I know he’s better off. I will never forget the day he begged for the pain to end. We told him it was okay if he wanted to go to sleep. We were just waiting for the time he finally did. And he did…at last. And yes, we’re relieved. I meant what I told Mum though. There’s nothing wrong with feeling that way. He’s in a much better place now. He’s sleeping and will never have to suffer again. I’m very happy with that outcome. Everyone handles grief differently, I understand that. For me, I’m not one to wallow. I grieve for as long as I need to then I move on. I don’t let grief take me over. I don’t pine after lost loved ones because I know it won’t do me any good. I have days when I miss them. Today for example I do miss Grandad a lot but it’ll pass and I’ll just continue moving on. So if anyone has ever felt relief over someone’s death, don’t feel guilty. If they were suffering it’s safe to say they’re better off. And without sounding selfish, right at this moment I’m feeling like the stress I’ve been under for nearly two years is slowly disappearing and I like it. A lot. Perhaps 2015 will be a good year after all. On the weekend, I lost a close friend in death. He had been battling cancer for about two years. When he was first diagnosed, he underwent chemotherapy and they successfully got rid of the cancer. He was a totally renewed person and lived life to the full. Unfortunately, around six months later, it came back. This time there was no fighting it. He was such an independent person and he hated anyone doing anything for him. Towards the end though, he was almost a vegetable. It was such a horrible sight to see. Saturday night he died. I found out on Sunday morning. Even though we had all been expecting it, it was still a shock. Don’t get me wrong, I am so glad he’s not in pain anymore. He’s in a much better place. But it was one of the saddest things to happen. After his death, I contacted a friend to see how she was. We were both close to him. Well, this ‘friend’ barely acknowledged me. She went on and on about how she has suffered. Yet never once did she ask how I was. I was a mess when I found out. I cried for hours and I really needed her. Yet she wasn’t there. Now, don’t get me wrong. I know we all deal with grief in different ways, but I firmly believe that it’s times like these you can tell who your real friends are. Friends should support each other. What sort of a friendship is it if the other friend isn’t there for you? So in light of this situation, it inspired me to write a poem. Now, I haven’t written poetry for years so don’t expect perfection. But I thought I would share it anyway. I feel pain too, didn’t you know? Yet what do I get in return? What sort of friend are you? I hope you’re up for a bit of reading as this blog will be a long one. Today I’m writing about me and the lessons I’ve learned while establishing myself as a writer. I’m hoping that the mistakes I made will help other people to become a good writer. 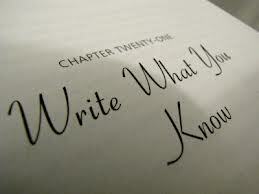 There is a lot to writing but one important thing to remember when you write is to write what you know. That’s an expression I live by. As a writer you will always have to do some research because we don’t know everything. However, our own experience will often contribute to how well we write. For example, when we write about pain it’s usually because we’ve experienced it ourselves. This is where my own experience will come in. You see, I’ve been writing since I was a kid. At five years of age I would write the cliché princess is locked in a tower, prince charming saves her, they fall in love, they marry and live happily ever after. Embarrassing I know but I was five, what do you expect? This went on for a good few years, I was obsessed with princesses. Then as I got older, I stopped writing for a while and just read. I read so many books and when I started writing again, I had ideas but they were ideas from other books I’d read. I struggled to write something new and unique. I believe now that because I was so young, lack of experience contributed to that. When I was a teenager, primarily between the ages of 13 and 17, I really got into writing teenage romance. Unfortunately, I had the same problem as when I was five. I was obsessed with happily ever afters’ so all I wrote about was meeting Mr Right, falling in love and everything was perfect. It didn’t help that I read a lot of teen romances so the ideas I had were very similar to what I had read. At the time I thought my writing was good. I got my friends and family to read it and they agreed. It really made me happy knowing they thought I had potential as a writer so I kept on at it. They were the same stories just with different character names and different events. But it was the same romance story, the same happy ending, the same perfect relationships. To me though, I thought it was great! I thought any publisher would snap up my work and call me the next prodigy. When I was about 18 or 19 I stopped writing because something was niggling at the back of my mind, something that told me my writing really wasn’t that good. I also got fed up with writing the same thing over and over again and I had no new ideas. Around the same time I found out that the compliments I got from friends and family were lies. They said my writing was good because they didn’t want to hurt my feelings. What they didn’t realise was that lying to me hurt my feelings more than if they had been honest from the beginning. The upside though is that I learnt a big lesson from it. The most important lesson I learnt is that you can’t always trust your friends and family to give you honest feedback on your work. I learnt when you write you have to have an imagination, you have to have life experience, you have to have a love for writing. The thing is though, I had imagination, I had a bit more life experience and I love, love, love writing. However, at that time I didn’t know how to apply those to writing. So yes, I took a long, well earned break. In the back of my mind I always had a desire to write but I had no motivation to do so. Then when I was 23 I moved out of home for the first time. A friend and I moved in together. For six months we lived together and had a great time. Then a few months later I got a new job, moved away from my family, into my own place and my friend got married. It was when I moved away that I started getting ideas for writing again. The break I had did wonders. I had new ideas and I started to understand what writing was all about. Of course I wasn’t a pro, I’m still not a pro, but I was better than I once was. I had a lot more life experience behind me and I learnt how to use it appropriately to make my stories good and believable. While my sisters and I had a fun childhood together, we weren’t as close as some siblings are. Why? Because of the age gap. My oldest sister was born in 1972, my second oldest sister was born in 1978 and I was born in 1982. We got frustrated with each other because we were all the wrong age to do things together. How is this relevant to my writing? I’ve experienced sibling rivalry, especially when there is a large gap in age. This can be very useful if I’m writing about family and siblings, I understand the rivalry. My Nana died when I was 13 and this devastated me and my family. She was an amazing woman and life just isn’t the same without her. I’ve lost a lot of other friends and family in death too. As heartbreaking as it is, it made me a stronger person. And I can now write about death and I understand the pain, the sorrow, the emptiness. Once again, to write it well you have to experience it. A few years after my Nana’s death, my mum was diagnosed with depression. I was 17 at the time and many times she tried to kill herself. Thankfully she didn’t succeed. How is this relevant to my writing? After she was diagnosed, I had to grow up quickly because suddenly, with my Dad working full time, I had to run the house while still going to school full time. I researched depression and gained a lot of information on what it is, what causes it and how to help someone with it. This can be very useful if you’re writing about someone with depression. You have to understand it to be able to write it. There is a lot of misconceptions about depression so you really, really, REALLY have to know what you’re talking about. And one more. I’ve had two jobs where I was subject to bullying and harassment, making my life miserable. It made me learn to stand up for myself and not take crap from anyone. How is this relevant to writing? I’ve experienced a lot of nasty people and this helps me create the villains I need in my novels. On the other hand, if you’re writing about someone going to work and what they experience during the day, it’s easier to write it if you’ve experienced it. It’s not as simple as going to work, type a few words and come home again. A lot happens at work that changes you. Oh and it can make a pretty amusing story too! These experiences are just skimming the surface, I’ve had many other experiences but I’m just trying to make my point clear. When you write, you write what you know. If you’re writing a scene about heartbreak, usually you’ve experienced it yourself. You write the feelings you once felt and you add some oomph to them to make them relevant to the character. On wattpad, I have a novel called In Love With Mr Wilson. It’s a teen romance about falling in love but being unable to do anything about it. There’s humour, there’s sadness, there’s angst. Every emotion written in there is written because I’ve experienced that particular emotion somehow. I’ve added a touch to it to make it real to the character and to the reader. The thing is though, if I hadn’t experienced those feelings, I wouldn’t be able to write about them. And before you ask, yes I remember what I wrote about teen romances above! 🙂 The thing is, I’ve learnt a lot from my teen years and this is not even remotely like what I used to write about. Without sounding arrogant or self-assured, this is one of my best pieces. It’s not going to be published, this is just something I want people to read for free. However, for me it was a breakthrough, proof that I have improved from many years ago. Finally I have written a teen novel that is not the typical ‘they meet, fall in love and live happily ever after’. Yes it has a happy ending and yes two people are in love, but it’s real. Real things happen, people get hurt, they act irrationally, all the things we humans do. Not have a bust up and two seconds later they’re back together again. Just on a different note for a moment, can I just say how important it is to write and not sound like you? It’s so easy to write the narration and sound as though you’re the one talking. You are the one writing the novel but you’re not the one actually talking. It’s the character that’s talking. Make the character sound like them, not you. This is especially relevant in dialogue. The way you speak will shine through in the dialogue so be mindful of that. I’ve read a lot of stories by amateur writers and this is where most of them fall short. It’s not an easy task but it is possible with a lot of practice. Here’s a hint for you: go somewhere where there are people talking and just listen. Listen to the way they talk, what they say, how they say it. You will learn a lot! You want your novel to be alive, you want the characters to be real and have their own personality. Unless you’re writing an autobiography, or you’re specifically giving your character your personality, don’t make them sound like you. As I said, there is still a lot more to writing and you will always have to do research as you can’t write a novel based purely on your own experiences. However, your own experiences will help along the way. I still view myself as an amateur writer and I always will until I’m published and selling books. One day I will be published, whether a publisher snatches me up or I go down the self publishing route, I guess only time will tell. But one day you will see my book out there to buy. Then and only then will I stop calling myself an amateur. So in conclusion, write what you know but at the same time make your characters real! Your own experiences will make your novel perfect. If you wish to read some of my writings, and see for yourself how I write now, please visit wattpad.com. You will find me under my username LisaStanbridge. Please feel free to leave a comment below. I would love to hear how you’ve established yourselves as writers and what experiences you’ve had.